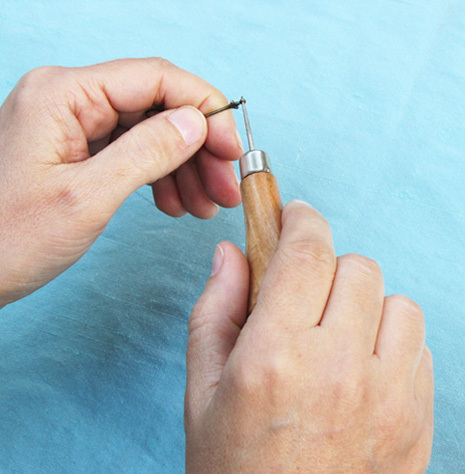 Using a bead reamer is very easy and if you don't already own one consider having a couple of them around as they come in very handy. I love freshwater pearls but, find them frustrating because the holes are never big enough. They are fine for stringing or for using with fine wire but, when it comes to a sturdy head pin or eye pin the holes need to be widened. There are a few kinds of bead reamers on the market. I use the two shown below. The one on the left is a little thicker and stronger. 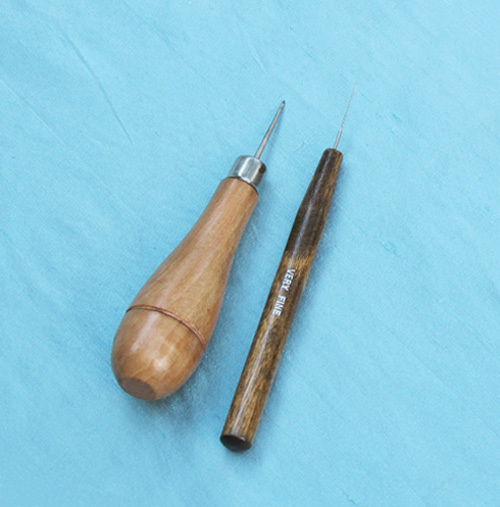 I use this one for opening up small holes on metal findings or for smoothing out any rough spots. The one on the right is ultra fine steel that almost resembles a cork screw. I use this one for pearls and Baltic Amber. With freshwater pearls gently move the reamer back and forth in a twisting motion. Never force the reamer too quickly or apply too much pressure or they can break right inside the pearl. 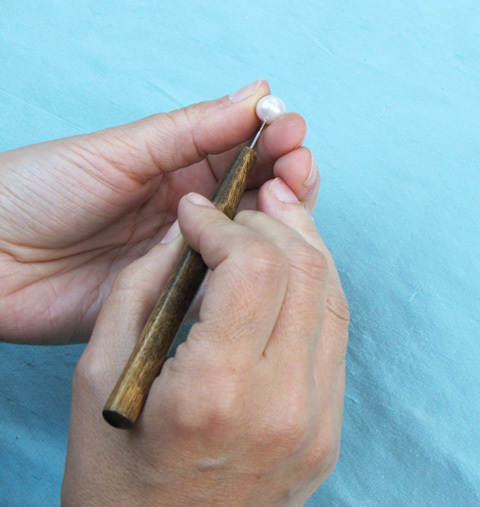 Occasionally clean off the tip as you are removing material from the pearl and be extra gentle with Amber as it can crack easily with too much pressure. This diamond coated reamer works great on findings where the loop is too small or for smoothing out rough edges on metal and beads.